The Illinois-based agents at PLN Mutual Insurance are trained, experienced, and equipped with the tools to assist you with determining a protection plan that suits your endeavors. Please contact us to set up a schedule with one of our friendly insurance agents! 1. Give your agent immediate written notice of loss. In case of theft, vandalism, or malicious mischief, also notify your law enforcement agency. 2. Protect the property from further damage. 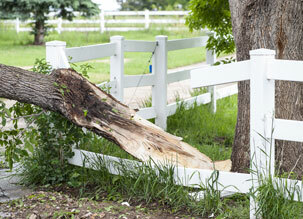 Make necessary and reasonable repairs to protect the property. 3. Make a list of all damaged or destroyed property, showing in detail quantities, cost, actual cash value, and amount of loss. 5. Exhibit the damaged property to us or our representative as often as may be reasonably required. 6. As often as may be reasonably required, you must submit to examinations under oath by any person named by us and sign the transcript of the examinations, and to the extent that it is within your power to do so, to produce employees or members of your household for examination under oath. At our request, each examination may be conducted outside of the presence of other persons who have not yet been examined, including you. 7. Produce for examination all records and documents we request and permit us to make copies. 8. Produce receipts for any increased cost to maintain your standard of living while you reside elsewhere and records pertaining to any loss of rental income. 9. At our request, cooperate in providing necessary information for determining amount of loss.